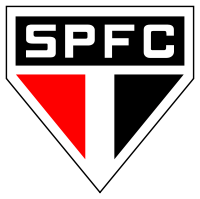 São Paulo Futebol Clube (Portuguese pronunciation: [sɐ̃w ˈpawlu fuʧiˈbɔw ˈklubi]), simply known as São Paulo, is a professional football club, based in São Paulo, Brazil. The club plays in the Paulistão (the State of São Paulo's premier state league), as well as the Brasileirão (the top tier of the Brazilian football league system), being one of the only five clubs to have never been relegated, along with Santos, Flamengo, Internacional and Cruzeiro. As for international titles, São Paulo is the most successful team from Brazil, with 12 international titles. 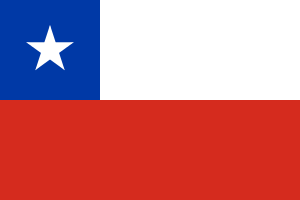 It is also one of the most successful South American clubs in terms of overall titles, having won 21 state titles, six Brasileirão titles, three Copa Libertadores titles, one Copa Sudamericana, one Supercopa Libertadores, one Copa CONMEBOL, one Copa Masters CONMEBOL, two Recopa Sudamericanas, two Intercontinental Cups and one FIFA Club World Cup. Founded in 1930, São Paulo was an inaugural member of the Clube dos 13 group of Brazil's leading football clubs. The club's most consistent spell of success came in the 1990s, under coach Telê Santana, when it won three state titles, one national championship, two Copa Libertadores, two Recopa Sudamericanas, two Intercontinental Cups, one Supercopa Sudamericana, one Copa CONMEBOL, one Copa Masters CONMEBOL. São Paulo is the third best-supported club in Brazil, with over 28 million supporters. The team's traditional home kit is a white shirt with two horizontal stripes (one red and one black), white shorts and white socks. Its home ground is the 67,052-seater Morumbi football stadium in São Paulo, where it has played since 1947. The stadium was the venue for the Copa Libertadores finals of 1992, 1993, 1994, 2000, 2003, 2005 and 2006. São Paulo is the second richest Brazilian football club in terms of revenue, with an annual revenue of $111.9m (€78.2m), and the second nation's most valuable club, worth over $353.4m (€246.9m) in 2011. The foundations of the club in 1930 and 1935 at the memorial Cássio Luiz dos Santos Werneck. São Paulo FC was founded on 25 January 1930 by 60 former officials, players, members and friends of the football clubs CA Paulistano and AA das Palmeiras of São Paulo. Paulistano, founded in 1900 and thus one of the oldest clubs in town and 11-time champions of São Paulo, abandoned football due to the professionalization of the sport. Palmeiras, founded in 1902 and three-time champions of São Paulo, intended after the end of the season 1929 to set up a professional team, but failed to do so. Paulistano brought into the union star players like Arthur Friedenreich and Araken Patuska. Palmeiras' contribution was the stadium Estádio da Floresta, generally known as Chácara da Floresta. The jerseys of the new club were derived from the ones of Palmeiras, which were white and sported a black ring across the chest. To the black-and-white of Palmeiras was added the red-and-white of Paulistano, thus, the ring became red, white and black. 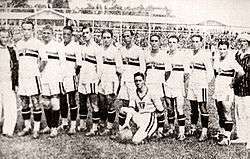 The team, coached by former Paulistano star player Rubens Salles, played its first match on 16 March 1930 when it drew 0–0 against CA Ypiranga. The side became in the same year runner up of the State Championship and won it in 1931, losing only one match of 26 and scoring 92 goals in the process. In the following three years São Paulo FC was again runner up in the championship. In 1933, football in São Paulo became officially professional and the friendly match on March 12, 1933 which São Paulo won 5–1 against Santos FC is considered the opener of that era. Internal arguments and turmoil led to financial problems. The club merged with Clube de Regatas Tietê, another sports club from the town, and the football department was disbanded on 14 May 1935. Just after the merger with Tietê, the founders and re-founders created the Grêmio Tricolor, which formed Clube Atlético São Paulo on 4 June 1935, and, finally, São Paulo Futebol Clube on 16 December of the same year. The new club's first game was against Portuguesa Santista on 25 January 1936. The match was almost cancelled, owing to the city's anniversary, but Porphyrio da Paz, the football director and composer of the club's anthem, obtained permission from the Board of Education Office for the game to continue. Another merger occurred in 1938, this time with Clube Atlético Estudantes Paulista, from the neighborhood of Moóca, and the club finished as runners-up in the Campeonato Paulista. In 1940, when the Estádio do Pacaembu was inaugurated, a new era began in São Paulo state football. 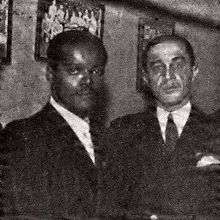 São Paulo Futebol Clube finished as runners-up once again in the Campeonato Paulista in 1941, and a year later the club paid 200 contos de réis (equivalent to approximately R$162,000 today) to acquire Leônidas from Flamengo. During this period, São Paulo also acquired the Argentinian António Sastre and Brazilians Noronha, José Carlos Bauer, Zezé Procópio, Luizinho, Rui and Teixeirinha. With these new additions, Tricolor became known as the Steam Roller, winning the Paulista championship five times, in 1943, 1945, 1946, 1948 and 1949. The club sold its Canindé training ground to Portuguesa to raise money for their new stadium the Estádio do Morumbi, for which construction began in 1952. The run of success of the 1940s, came to an end in the early 1950s, and the club only won two state championships in the new decade, in 1953 and 1957. The latter championship was won with the help of the 35-year-old Brazilian international Zizinho and Hungarian manager Béla Guttmann. In the years that followed, the club struggled to compete with the rise of Pelé and his club, Santos. With the construction of the Morumbi stadium still ongoing, São Paulo entered its longest period without a title in its history, which was to last 13 years. Since São Paulo's budget planning was focused on the Estádio do Morumbi construction rather than the signing of new players, few expensive players were bought during the 1960s, although the club did acquire Brazilian internationals Roberto Dias and Jurandir. In 1960, the Estádio do Morumbi was inaugurated, named after the late Cícero Pompeu de Toledo, the club's chairman during most of the stadium construction. One of the few happy moments for the fans during this period was the 1963 Paulista Championship 4–1 victory against Pelé's Santos. 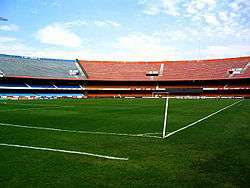 In 1970, the Estádio do Morumbi was finally completed and the club purchased Gérson from Botafogo, Uruguayan midfielder Pedro Rocha from Peñarol and striker Toninho Guerreiro from Santos. The club was managed by Zezé Moreira, who was the manager of Brazil at the World Cup in 1954, and won the Paulista Championship after beating Guarani 2–1 in the Campinas a week before the end of the competition. In 1971, the club beat Palmeiras 1–0 with a goal from Toninho Guerreiro in the final to capture another state title. That year saw the inaugural Campeonato Brasileiro, with the club finishing as runners-up to Atlético Mineiro, managed by Telê Santana. In the following years, São Paulo and Palmeiras gradually overtook Pelé's Santos and Corinthians as the dominant club sides in São Paulo state. In 1972, Palmeiras won the state championship title, only one point ahead of São Paulo, and the following year the clubs finished in the same positions in the Brazilian Championship. In 1974, São Paulo took part in the Copa Libertadores losing in the final to Independiente in a replay. In 1975, former goalkeeper José Poy took over as manager, and São Paulo won the Paulista Championship after defeating Portuguesa in a penalty shoot-out. Valdir Peres, Chicão, Serginho Chulapa and Zé Sérgio were the club's most influential players when São Paulo finally secured the Brazilian Championship for the first time in 1977 following a penalty shoot-out victory over Atlético Mineiro at the Mineirão. However, they failed to win another trophy until the reclaimed the Paulista Championship in 1980. In the 1980s, São Paulo won four Paulista and one Brazilian titles, helped by the impressive central defensive pair of Oscar and Dario Pereyra. 1980 and 1981, the club won the Paulista Championship in successive seasons for the first time since the 1940s. In 1985, the head coach Cilinho introduced to the world the Menudos of Morumbi, a team that included Paulo Silas, Müller and Sidney, and the club once again won the Paulista Championship. The main striker was Careca, a centre-forward who also played for Brazil in the 1986 FIFA World Cup. The midfield featured Falcão, brought in from Italian club Roma, where he earned the nicknamed King of Rome. In 1986, manager Pepe led the club to its second Brazilian Championship title, defeating Guarani in a penalty shoot-out. In 1987, Dario Pereyra left the club, but in that year the Menudos team won its last title, another Paulista title. The so-called Tricolor Decade ended with the 1989 Paulista Championship title and a second-place finish in the Brazilian Championship, when São Paulo lost to Vasco da Gama in the final match. Telê Santana, won two Copa Libertadores and two Club World Cups with São Paulo. 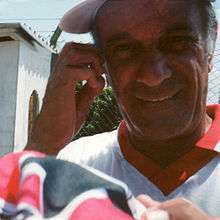 In 1990, after a poor start to the campaign in Championship Paulista, Telê Santana was hired as the club's coach, and São Paulo went on to finish runners-up in the Brazilian Championship. In 1991, Santana won his first title after winning the Paulista championship. In 1991, São Paulo won the Brazilian championship after beating Carlos Alberto Parreira's Bragantino, and the club began a period of consistent achievement both nationally and internationally. The following year they reached the Copa Libertadores final, where they faced Newell's Old Boys of Argentina. São Paulo lost the first leg 1–0, but reversed the scoreline in the second leg in Brazil, and then won the competition in the penalty shoot-out to take the title for the first time. 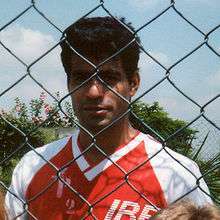 Raí, São Paulo's midfielder in the 1990s. In the same year, in Tokyo the club won its first Intercontinental Cup, beating Johann Cruyff's Barcelona 2–1. After returning to Brazil, the club beat Palmeiras 2–1 to win its 18th state championship title. In 1993, São Paulo retained the Copa Libertadores, beating Universidad Católica of Chile in the final. After the competition, influential midfielder Raí left the club, but São Paulo won the Intercontinental Cup again, beating Fabio Capello's Milan 3–2. Müller scored the winning goal in the 86th minute of the match, from an assist by Toninho Cerezo. In 1994, the club reached the final of the Copa Libertadores for the third year in a row, and faced Argentina's Vélez Sársfield. On this occasion they lost a penalty shoot-out to the Argentine side at the Morumbi stadium. But by the end of this year, São Paulo won the Copa CONMEBOL, defeating Peñarol of Uruguay in the final. Rogério Ceni, São Paulo's former goalkeeper, he is the highest scoring goalkeeper of all time. At the beginning of 1996, owing to health issues, Telê Santana left São Paulo, ending the club's golden era. Between 1995 and 2004, the club had fourteen managers. Among the most notable titles during those ten years were the 2000 Paulista Championship and the club's first Rio-São Paulo Tournament title in 2001. Rogério Ceni, Júlio Baptista, Luís Fabiano and Kaká were the club's stars. Raí briefly returned to the club between 1998 and 2000, and with him, the club won the Paulista Championship twice, in 1998 and 2000, after beating Corinthians and Santos, respectively. In 2004 São Paulo were back in the Copa Libertadores and reached the semi-finals before being eliminated by underdogs Once Caldas from Colombia. At the end of that year, Émerson Leão was hired as the club's coach. In 2003, São Paulo made a deal with Spanish amateur side Santangelo Club Aficionado that resulted in the Spanish club changing its name to São Paulo Madrid. In 2005, with Leão as the club's manager, São Paulo won the Paulista Championship. Leão, however, would soon leave the club with Paulo Autuori, former manager of the Peru national team, hired to replace him. São Paulo won the Libertadores Cup for the third time, beating another Brazilian side, Atlético Paranaense, in the final. Atlético switched the first leg of the final to Estádio Beira-Rio, Porto Alegre, their own ground not having sufficient capacity for a final, and the match ended in a 1–1 draw. In the second leg, at the Morumbi, São Paulo won 4–0 to become the first Brazilian club to win three Copa Libertadores titles. In December 2005, São Paulo competed in the FIFA Club World Championship in Japan. After beating Saudi Arabia's Al-Ittihad 3–2, they faced European champions Liverpool in the final. A 1–0 victory over the English team gave São Paulo its third intercontinental title. The single goal was scored by Mineiro in the first half of the match. Other players in that year's squad included centre-back Diego Lugano, full-back Cicinho and forward Amoroso. Tribute received from the Paulista Football Federation and President Lula for winning the first FIFA Club World Cup. After the success of the 2005 season, Paulo Autuori left the team to coach Kashima Antlers in the J. League. Muricy Ramalho was signed up as the new coach, having led Internacional to the runners-up position in the 2005 Brazilian Championship. In his first tournament as a manager, Ramalho reached second place in the Paulista Championship, losing to Santos by one point. São Paulo reached the final of the 2006 Copa Libertadores, but lost 4–3 on aggregate to Brazilian rivals Internacional. However, they went on to win their fourth Campeonato Brasileiro trophy, becoming the first team to become national champions in the new league system format. São Paulo against Bayern Munich in 2007. After being eliminated from the Copa Libertadores in 2007, São Paulo won the Brazilian title for the second year in a row, fifteen points ahead of second-placed Santos. 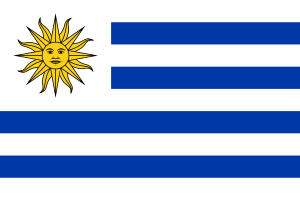 They won the title for the third season running in 2008 season, overturning an 11-point deficit behind Grêmio, to become the first team win the national title six times. Manager Muricy Ramalho was also the first manager to win three Brazilian titles in a row with the same team. Ramalho was fired from the manager post following a defeat in the home leg of the 2009 Copa Libertadores to Cruzeiro, São Paulo's fourth consecutive Libertadores Cup elimination to another Brazilian. Ricardo Gomes took over as manager. In 2010 São Paulo lost again against Internacional in the 2010 Libertadores Cup, ending Ricardo Gomes's spell as manager. In 2011, the club signed Rivaldo and purchased Luís Fabiano for a club-record €7.6 million from Sevilla. Goalkeeper Rogério Ceni, meanwhile, scored his 100th career goal, against Corinthians. In research conducted by Brazilian sports website GloboEsporte.com, São Paulo, during the eight years between 2003 and 2011, were just the second Brazilian club to earn more money than losses in the transfer market – Tricolor paulista received R$287 million, behind only Internacional, which earned R$289 million. For the 2013 season, after seven years wearing kits produced by Reebok, São Paulo signed with Brazilian brand Penalty. The contract was valid until 2015 and the club earned R$35 million per year. This contract was the second-most lucrative kit deal in Brazil, just exceeded by Flamengo and Adidas' deal of R$38 million. In May 2015, São Paulo presented its new kits, made by Under Armour. When Club Athletico Paulistano and Associação Atlética das Palmeiras merged, their colours (red and white for Paulistano and black and white for Palmeiras) were inherited by São Paulo. 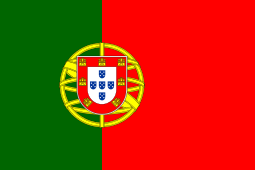 The colours match those of São Paulo's state flag, and also represent the three main races that lived in Brazil during that period: the Native Americans (represented by the red), the Europeans (represented by the white) and the Africans (represented by the black). The club's home strip is a white shirt, with two horizontal stripes at chest level, the upper one red and the lower one black, and with a badge in the centre of the chest. The shorts and socks are all-white. The away strip consists of a red shirt with red, black and white vertical stripes, black shorts and socks. The badge consists of a shield with a black rectangle in the upper section bearing the initials SPFC in white. 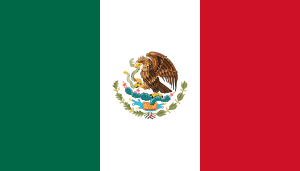 Below the rectangle is a red, white and black triangle. 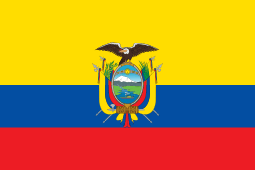 The badge also has five stars, two gold and three red ones. The gold ones denote Adhemar Ferreira da Silva's world and Olympic records and the red ones represents the three world championships won by São Paulo. São Paulo's stadium is officially named Estádio Cícero Pompeu de Toledo (Cicero Pompeu de Toledo Stadium) and commonly known by the nickname Estádio do Morumbi (Morumbi Stadium). It was inaugurated in 1960, with a maximum sitting capacity of 120,000 people, but now its maximum capacity is only 67,052 seats. Its record attendance for a football match, set in 1977, is 146,082. The club also owns two training grounds, one named Centro de Treinamento Frederico Antônio Germano Menzen (Frederico Antônio Germano Menzen Training Center), nicknamed Centro de Treinamento (CT) da Barra Funda (Barra Funda's Training Center), which is used mostly by the professional team. The other is the Centro de Formação de Atletas Presidente Laudo Natel (President Laudo Natel Athletes Formation Center), nicknamed Centro de Treinamento (CT) de Cotia (Cotia's Training Center), which is used by the youth teams. This fixture is nicknamed the "Choque Rei", and has seen 103 wins by São Paulo, 99 wins by Palmeiras and 99 draws. Also known as "San-São", this fixture was first played in 1936. Since then, São Paulo have won it 114 times, Santos 92, and there have been 62 draws. The game between these clubs is also known as "Majestoso", a name coined by Thomas Mazzoni. 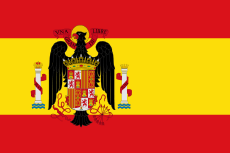 The first "Majestoso" occurred on 25 May 1930. The fixture has seen 79 wins for São Paulo, 88 wins for Corinthians and 84 draws. ↑ "Conmebol". Retrieved 21 July 2015. ↑ "Fútbol: Copa CONMEBOL, Resumen y Datos". Retrieved 21 July 2015. ↑ "GloboEsporte.com > Futebol > Santos - NOTÍCIAS - Libertadores 2008 tem novidades 'históricas'". Retrieved 21 July 2015. ↑ "Em 94, Expressinho salvou temporada com precursora da Sul-Americana". Terra. Retrieved 21 July 2015. ↑ "Comienza la Copa Sudamericana... - Fútbol Santander - Noticias". Retrieved 21 July 2015. 1 2 "Morumbi – Tricolor Pride". Official Website. Retrieved September 16, 2008. ↑ "Origins". Official Website. Retrieved September 16, 2008. ↑ "SPFC". Official Website. Retrieved September 16, 2008. 1 2 3 "Tricolor decade". Official Website. Retrieved September 16, 2008. ↑ "Telê Era". Official Website. Archived from the original on July 7, 2007. Retrieved September 16, 2008. ↑ Karel Stokkermans (8 October 2010). "Copa Libertadores de América 1992". RSSSF. Retrieved 7 May 2012. ↑ "Toyota cups 1992 and 1993". FIFA Official Website. Retrieved December 17, 2008. ↑ "Ceni wins best player prize". FIFA.com. December 22, 2005. Retrieved December 29, 2010. ↑ "High drama in Yokohama". FIFA.com. December 22, 2005. Retrieved June 29, 2010. ↑ "Ceni: I see my team-mates in these awards". FIFA.com. December 18, 2005. Retrieved June 29, 2010. ↑ Márcio Mará. "Papões de títulos, Inter e São Paulo são os campeões de vender craques". globoesporte.com. Retrieved 21 July 2015. ↑ "Tricolor confirma acordo milionário e apresenta nova camisa no dia 17". globoesporte.com. Retrieved 21 July 2015. ↑ "São Paulo revela acordo recorde com Penalty por três anos". Yahoo Esportes. 1 January 2013. Retrieved 21 July 2015. ↑ "Frederico Antonio Germano Menzen Training Center". Official Website. Retrieved September 16, 2008. ↑ "CFA – President Laudo Natel Athlete Formation Center". Official Website. Retrieved September 16, 2008. ↑ "São Paulo define inscritos para a fase de grupos da Libertadores" [São Paulo sets registered to the phase of Libertadores' groups] (in Portuguese). São Paulo FC. Retrieved 16 February 2016. ↑ "São Paulo Futebol Clube - Choque-Rei: 300 jogos de história". Retrieved 21 July 2015. ↑ "Esporte - Blog da Redação". Retrieved 21 July 2015. ↑ "Corinthians x São Paulo". Futpedia. Retrieved 21 July 2015. Wikimedia Commons has media related to São Paulo Futebol Clube. Look up São Paulo in Wiktionary, the free dictionary.